The Word Among Us Press: Prayers for Catholic Couples: With Reflections from Pope Francis' "The Joy of Love"
Family life today can be so fast-paced and hectic that couples rarely carve out the time to pray together. Here is one way for husbands and wives to both pray together and benefit from the beauty and wisdom of Pope Francis' apostolic exhortation The Joy of Love (Amoris Laetitia). 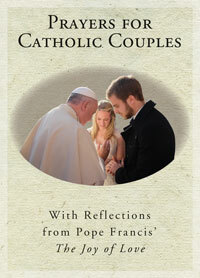 Each two-page reflection contains an excerpt from Pope Francis' letter, a question for couples to ponder, and a short prayer that they can pray alone or together. Couples will be blessed by the Holy Father's words as well as by the experience of praying for their marriage and their family. 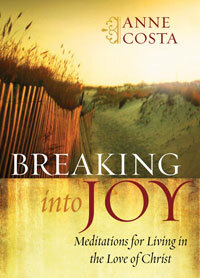 • Excerpts from Pope Francis' beautiful exhortation will inspire couples to grow in their relationship. • A perfect way for spouses or engaged couples to begin praying together. "Susan Heuver beautifully mines important insights from The Joy of the Love, presents them in user-friendly fashion, and invites couples to prayerfully reflect on them together. 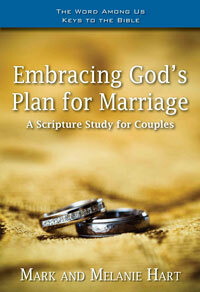 This is a great resource for Catholic couples at any stage of their marriage."